NEW YORK, N.Y. - EBay is splitting off its fastest growing segment, the PayPal payment service, the e-commerce company said Tuesday. Investors applauded the news, sending eBay's shares up nearly seven per cent in morning trading. The move comes after months of pressure from activist investor and billionaire Carl Icahn, who has a 2.5 per cent stake in eBay, according to FactSet. eBay CEO John Donahoe had been adamant that splitting off PayPal was the wrong move for the company. But Tuesday, the company said that making PayPal a separate publicly traded company next year "maximizes strategic focus and flexibility for eBay." PayPal provides online shoppers with an alternative to credit cards. It's also moving into mobile payments from Internet-enabled devices such as smartphones and tablets, which are expected to become a major area of growth. Citi Investment Research analyst Mark May said in a note last month that the sum total of mobile payments could grow from $1 billion in 2013 to $58.4 billion by 2017. Apple threw down a gauntlet in September with its own digital wallet Apple Pay, seen as a major competitor to PayPal. "The payments landscape is hyper-competitive, the pace of change is accelerating and everyone is gunning for PayPal," said Forrester analyst Denee Carrington. "The split will give PayPal greater agility to help it achieve its full potential." Donahoe also said he will step down as CEO of eBay after overseeing the separation of the two companies and will not have a management role in either of the two afterward. He may have a seat on the board at one or both, along with eBay Chief Financial Officer Bob Swan. Dan Schulman, an executive at American Express, will be the new president at PayPal, effective immediately. The 56-year-old will become PayPal's CEO once the separation takes place. Devin Wenig, currently president of eBay Marketplaces, will become CEO of the new EBay Inc. He will lead the eBay Marketplaces and eBay Enterprise businesses. Cowen and Co. analyst John Blackledge said the spinoff "makes a great deal of sense," because there is "manageable overlap" between the two businesses and the new structure makes PayPal "more nimble" to respond to challenges like Apple Pay. EBay is an e-commerce site that connects sellers to buyers. PayPal, acquired by eBay in 2002 for $1.3 billion, has been its fastest-growing segment. In the most recent quarter, PayPal gained 4 million new, active registered accounts, up 15 per cent, to 152 million. 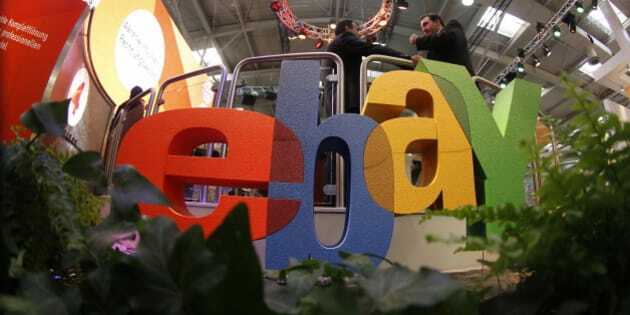 Payments revenue rose 20 per cent to $1.95 billion, about 45 per cent of eBay's total revenue. PayPal users can send and receive payments online, with all transactions backed by prepaid user accounts, bank accounts or credit cards. The service is available in 203 markets worldwide and is on track to process 1 billion mobile payments in 2014. There is a push away from traditional credit cards, particularly after a string of high-profile data breaches that have ensnared major retailers like Target and Home Depot. Alibaba, the Chinese e-commerce powerhouse in China, split off its PayPal-like mobile payment arm, Alipay, in 2011. "A thorough strategic review with our board shows that keeping eBay and PayPal together beyond 2015 clearly becomes less advantageous to each business strategically and competitively," Donahoe said. PayPal has been expanding beyond mobile payments and offering other financial services. It began lending money to small business customers late last year. And eBay bought Braintree, a payment processor used by startups such as vacation rentals site Airbnb and cab-hailing app Uber, a year ago for about $800 million and will be part of the PayPal. Shares of eBay jumped nearly 7 per cent to $56.16 in morning trading.